However, NCM groups underestimated two critical factors that ultimately would doom the Rainbow Coalition experiment. 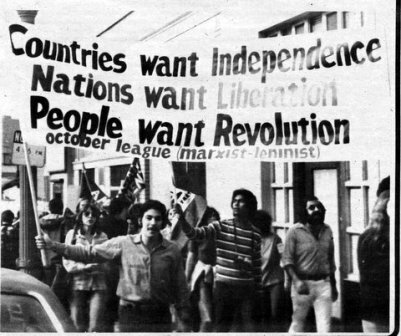 First, despite all its non-electoral organizing and mobilizing components – from social-justice oriented trade union efforts which crossed industrial and rural divides, evolving links with the peace, anti-imperialist, and environmental movements on issues of military intervention, nuclear weapons, and energy sources, as well as a continued emphasis on “multinational” alliances between oppressed groups – the Rainbow Coalition was primarily an electoral vehicle, tied to the election cycle, delegate selection processes, vote-getting and Democratic Party politics. 16 In the end, the former components were subordinate to and dependent upon the latter and failed to take on a life of their own. Second, in spite of all efforts to make it a bottom-up, democratic movement, the Rainbow Coalition was dominated and controlled by Jesse Jackson and his key acolytes. When, in the aftermath of the 1988 election, Jackson cut a deal with the Democratic Party establishment and decided to wind the whole thing up, the Rainbow left was powerless to stop him. Elbaum’s intellectual honesty prevents him from erasing these alternatives entirely. More than once he admits that the NCM came into being with groups “intent upon constructing a specifically Maoist trend and making Maoism the cornerstone of a new communist party.” 21 But Revolution in the Air nonetheless downplays the ideological centrality of Maoism and anti-revisionism through its repeated use of the “Third World Marxism” formulation. 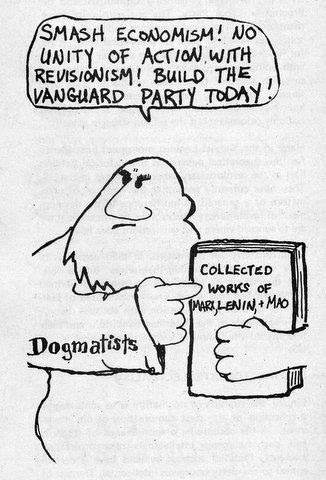 Bettelheim argues that this ideological formation was a contradictory reality “within which a constant struggle went on between revolutionary Marxist thinking, Marxism as constituted historically, and various ideological currents which were alien to Marxism.” 47 This formulation emphasizes the distinction between revolutionary Marxism, or Marxist scientific thought, and various forms of historically constituted Marxism – the Marxism of the Second International at the end of the nineteenth century, the Marxism of the Third International under Lenin, the Marxism of the Chinese Cultural Revolution, etc. – on the other. But Bettelheim’s alternative formulation also enables us to maintain that there’s another tradition, separate and discrete – what Bettelheim calls revolutionary Marxism or Marxist scientific thought. This is the tradition of the knowledge-producing theoretical system and its “accumulated wisdom,” of which Marx “only laid the cornerstones” to use Lenin’s phrase. It’s what Engels was talking about when he said, “Marx’s whole way of thinking is not so much a doctrine as a method. It provides, not so much ready-made dogmas, as aids to further investigation and the method for such investigation.” 50 Given the ideological eclecticism of much of the growing new American left, now more than ever it is necessary to stress the critical importance of this tradition and the political necessity of defending it from the numerous ideological currents hostile to it. Elbaum does a good job of describing the NCM’s theoretical poverty. He cites its “never-ending quest for orthodoxy and a constant suspicion of heresy at the very center of the movement’s outlook.” 51 This resulted, he argues, in a dominant mindset that “suggested that all truly important theoretical questions had already been resolved;” one that “betrayed a certain fear that too much exploration of new theoretical terrain would lead inexorably toward a revisionist betrayal of revolutionary principle.” 52 The NCM’s theoretical paucity is manifest in the ways that most groups studied theory and the ways they applied it. Lack of theoretical training meant that the movement was, in Elbaum’s words, “unable to accurately assess the conditions it faced – either initially or after a few years of inevitable mistakes and misjudgments.” 57 As Asad Haider recently put it, “a certain dogmatic catastrophism… prevented communists from formulating a strategy suited to their period.” 58 Over and over again cadre were promised a new capitalist crisis (“the ‘80s economic crisis will make the ‘30s great depression look like a picnic”) or a new revolutionary upsurge, neither of which materialized. Another inhibiting factor is the reality that theoretical work, particularly of the Marxist kind, is enormously difficult. As Karl Marx remarked, “there is no royal road to science, and only those who do not dread the fatiguing climb of its step paths have the chance of gaining its luminous summits.” 62 Genuine Marxist theoretical work is a specific form of practice – theoretical practice. It involves the transformation of raw materials (basic data, primary and secondary source materials, etc.) into a final product (knowledge) through the setting into motion of theoretical means of production (methodology, a conceptual system). It’s how Marx produced Capital, how Lenin produced Imperialism, the Highest Stage of Capitalism. It’s how Gramsci worked, under enormously difficult conditions of confinement, to produce his Prison Notebooks. 1. ↑ Guy Debord in his book Panegyric, quoted in Greil Marcus, The Dustbin of History (Cambridge: Harvard University Press, 1995), 78. 2. 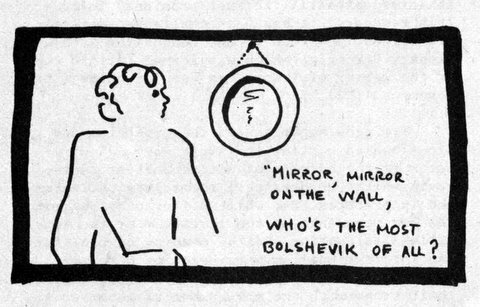 ↑ Max Elbaum, Revolution in the Air: ‘60s Radicals Turn to Lenin, Mao, and Che (New York: Verso, 2002), 326. 3. ↑ Ibid., 326, 328, 33-34. 5. ↑ In 1977 the CPC appeared to recognize the CPML as its favored “sister party” in the US. See “Unity between Chinese and U.S. Communists: CP(M-L) Delegation Meets with Chairman Hua,” The Call, Vol. 6, No. 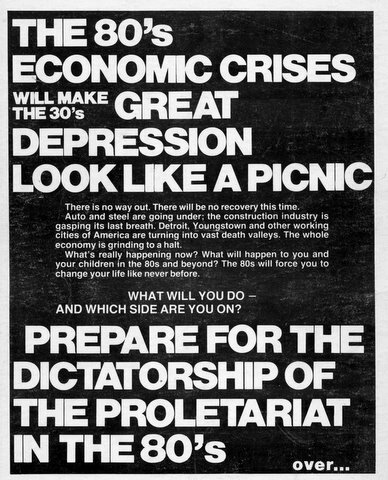 30, August 1, 1977. 6. ↑ Elbaum, Revolution in the Air, 272. 8. ↑ For documents relating to the National Liaison Committee, including from the various parties involved (like the RU and the IWK), see the collection available at the Encyclopedia of Anti-Revisionism Online (EROL). 9. 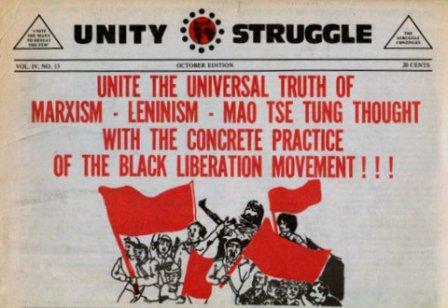 ↑ For a discussion of the line struggle in this party building initiative (the National Liaison Committee) see the Black Workers Congress, “Criticism of ‘National Bulletin #13’ and the Right Line of the RU,” in Red Papers 6. 10. ↑ On the Bund see Henry J. Tobias, The Jewish Bund in Russia from its Origins to 1905 (Stanford: Stanford University Press, 1972); Prophecy and Politics. Socialism, Nationalism, & the Russian Jews, 1962-1917 (Cambridge: Cambridge University Press, 1981); Enzo Traverso, The Marxists and the Jewish Question, trans. Bernard Gibbons (Atlantic Highlands: Humanities Press, 1994). 11. ↑ “Asians fight loss of minority status for small business loans,” Unity, Vol. 2, No. 13 (June 29-July 12, 1979). 12. ↑ “The National Question,” Marxist-Leninist Study Series,” Unity, Vol. 4, No. 5 (March 20-April 2, 1981). 13. ↑ August 29th Movement, Fan the Flames. 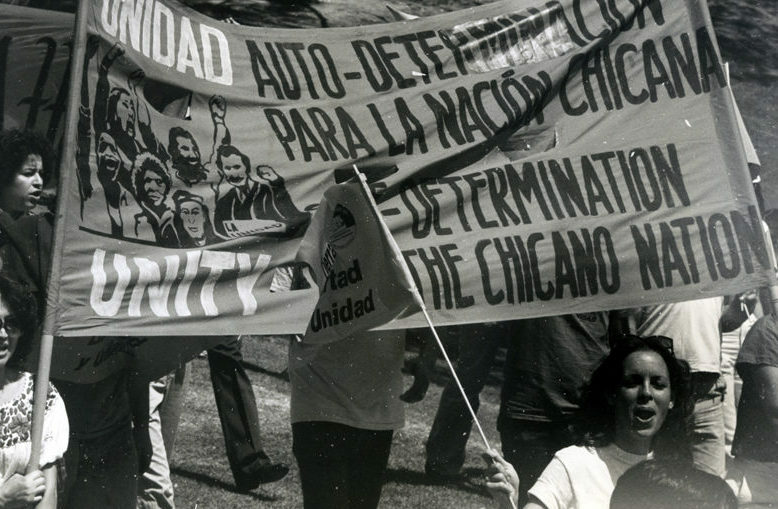 A Revolutionary Position on the Chicano National Question, 1976 ; League of Revolutionary Struggle, “The Struggle for Chicano Liberation,” Forward #2 (August 1979). 14. ↑ Asad Haider, Mistaken Identity. Race and Class in the Age of Trump (London: Verso, 2018), 79. 16. ↑ A strong account of the historical forces bound up in Jackson’s 1984 campaign, the viability of the “Rainbow Program,” and the possibilities of independent socialist action going forward, remains Manning Marable, “Jackson and the Rise of the Rainbow Coalition,” New Left Review I/149 (January-February 1985): 3-44. 17. ↑ There were certainly attempts to grasp the larger strategic significance of the Rainbow Coalition from within, and the impact of communists and socialist activists might have: see for instance, the interview with Jack O’Dell – one of Jackson’s more radical advisers – in the LRS newspaper, Frontline: “Reflections on the Rainbow,” Frontline, October 15, 1984. 18. ↑ Elbaum, Revolution in the Air, 2. 23. ↑ See Albert S. Lindemann, The “Red Years”: European Socialism vs. Bolshevism, 1919-1921 (Berkeley: University of California Press, 1974); and International Communism in the Era of Lenin: A Documentary History, ed. Helmut Gruber (New York: Fawcett Publications, 1967). 24. ↑ Louis Althusser, “The Crisis of Marxism,” in Power and Opposition in Post-Revolutionary Societies, trans. Patrick Camiller and Jon Rothschild (London: Ink Links, 1979), 230. 25. ↑ Quoted in K. S. Karol, China, The Other Communism, trans. Tom Baistow (New York: Hill and Wang, 1967), 420. 26. ↑ See, for example, Central Committee, Communist Party of China, A Proposal Concerning the General Line of the International Communist Movement, 1963. 27. ↑ These remarks refer to China’s positions on the international communist movement. Maoism did make important contributions to Marxist theory on the class struggle and inequality under socialism. See Richard Curt Kraus, Class Struggle in Chinese Socialism (New York: Columbia University Press, 1981). 28. ↑ Louis Althusser, For Marx, trans. Ben Brewster, (New York: Pantheon Books, 1969), 30. 29. ↑ Elbaum, Revolution in the Air, 48. 41. ↑ John Barron, Operation Solo: The FBI’s Man in the Kremlin (Washington DC: Regnery, 1996). 42. ↑ For a detailed discussion of what the CPUSA was like in this period see Gary Murrell, “The Most Dangerous Communist in the United States” A Biography of Herbert Aptheker (Amherst: University of Massachusetts Press, 2015). 43. ↑ Alice Jerome and Mort Sheer, “New Program of the Communist Party U.S.A .(A Draft): ‘Pretty Pictures of Singing Tomorrows,’” Progressive Labor, Vol. 5, No. 4 (June-July 1966). 44. ↑ Elbaum, Revolution in the Air, 274. 45. ↑ Elbaum, Revolution in the Air, 323-324. 46. ↑ Charles Bettelheim, Class Struggles in the USSR, First Period: 1917-1923, trans. Brian Pearce (New York: Monthly Review Press, 1976), Second Period:1923-1930, trans. Brian Pearce (New York: Monthly Review Press, 1978). 47. ↑ Bettelheim, Class Struggles in the USSR. Second Period, 501. 50. ↑ Quoted in Tristram Hunt, Marx’s General. The Revolutionary Live of Friedrich Engels (New York: Metropolitan Books, 2009) 364. 51. ↑ Elbaum, Revolution in the Air, 323. 53. ↑ Dan Burstein, “Political Report (Working Draft),” 1980. 57. ↑ Elbaum, revolution in the Air, 320. 58. ↑ Haider, Mistaken Identity, 79. 62. ↑ Quoted in Louis Althusser, Etienne Balibar, Reading Capital, trans. Ben Brewster (New York: Pantheon, 1970), 9. 63. ↑ Adapted from the article Louis Althusser, “The Importance of Theory,” in Theoretical Review #20, (January-February 1981). A slightly modified translation of this text was later published as “Theory, Theoretical Practice, and Theoretical Formation: Ideology and Ideological Struggle,” trans. James H. Kavanagh, in the collection The Spontaneous Philosophy of the Scientists and Other Essays, ed. Gregory Elliott (New York: Verso, 1990), 1-42.